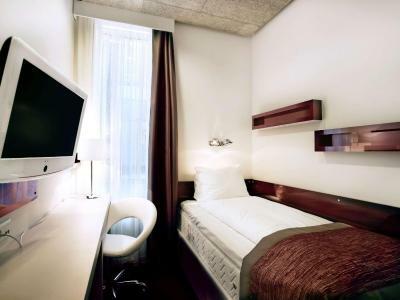 Lock in a great price for Ibis Styles Stockholm Odenplan – rated 8.2 by recent guests! Location was alright, close to a metro station. Good breakfast, although not too much choice. Beds were comfortable and the room was quite big. Also liked the high ceiling in the room. The room was spacious, clean, and breakfast was a good deal too. I came early because I arrived Stockholm in the morning, and they allowed me to do an early check in and late check out too, which was great. Everything ☺. Specially the pancakes for breakfast 😁, and the comfortable beds. 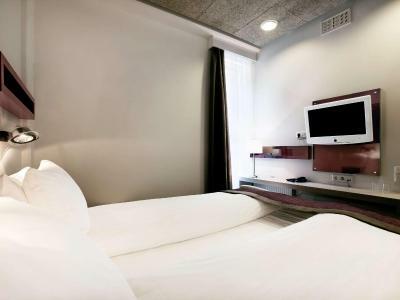 Very fast check in, excellent room, clean , excellent breakfast with many options, 5 minutes from an important subway station and 24 hours free coffe, cappucino, water. Beds were comfortable. Breakfast was excellent! Staff very friendly. Close to Odenplan for quick transportation connections. Plenty of restaurants in area. Easy to walk to shopping. Vasapark also close by. Great vibe, super nice staff. Will return when back in Sweden. Located in a good location. Easy to go anywhere !!! 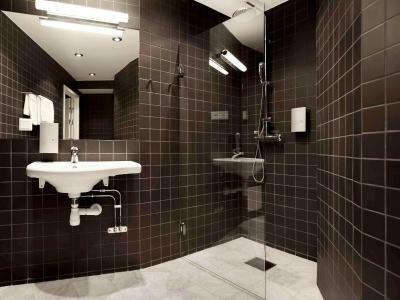 Ibis Styles Stockholm Odenplan This rating is a reflection of how the property compares to the industry standard when it comes to price, facilities and services available. It's based on a self-evaluation by the property. Use this rating to help choose your stay! 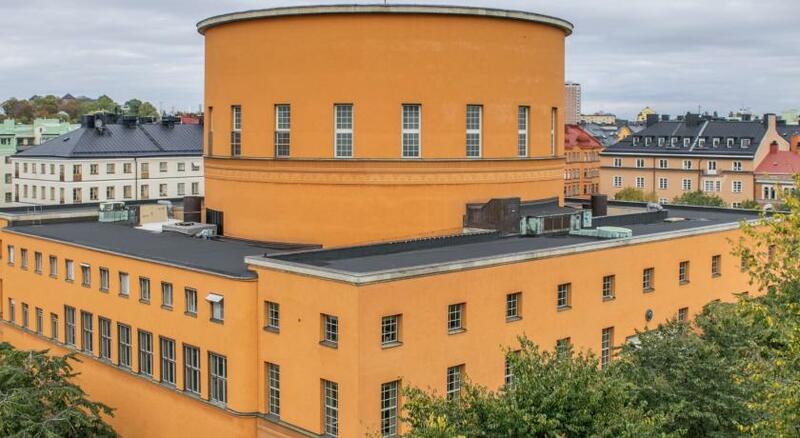 This family-run hotel is 150 feet from Odenplan Metro Station and the 18th-century Stockholm Observatory. 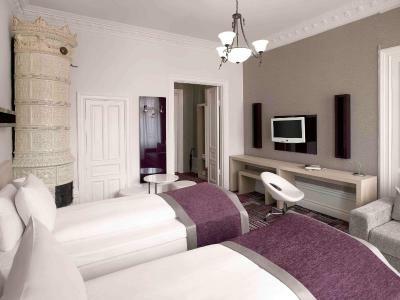 It offers free WiFi and individually designed rooms with LCD TVs. 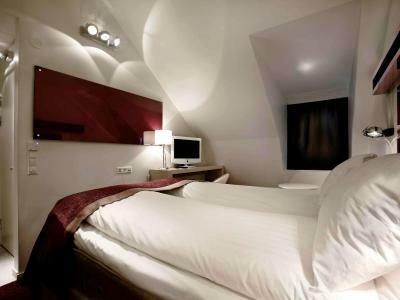 Ibis Styles's bright, modern rooms have high ceilings and wooden floors. Some include a ceramic tile stove and a balcony overlooking Gustav Vasa Church. Some rooms are located in the basement and have small windows, offering natural light. Ibis Styles Stockholm Odenplan’s guests can buy snacks or borrow a teapot at reception. Free coffee and tea is offered throughout the day. Drottninggatan shopping street is an 8-minute walk away. Restaurants, bars and cafes are even closer. The Old Town is a 5-minute metro ride from the hotel. 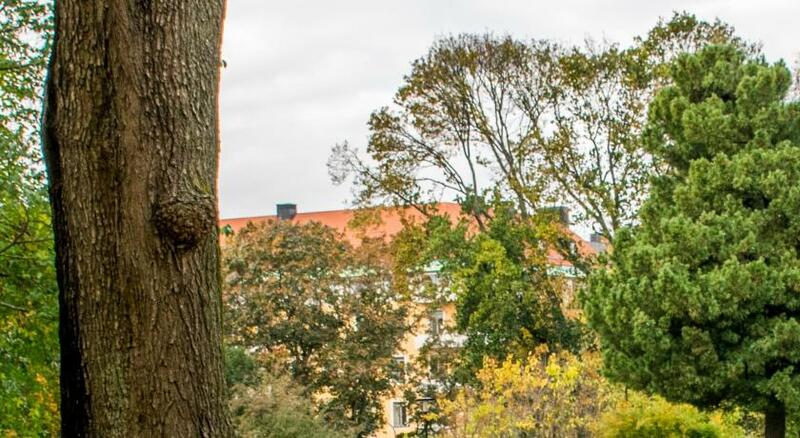 Vasastan is a great choice for travelers interested in architecture, city trips and museums. 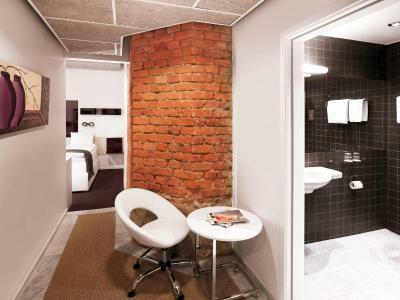 When would you like to stay at Ibis Styles Stockholm Odenplan? Includes a 26-inch LCD TV, work desk and private bathroom with shower. Private parking is available at a location nearby (reservation is needed) and costs SEK 250 per day. Includes a sitting area, 26-inch LCD TV and private bathroom with shower. Includes a work desk, 26-inch LCD TV and a private bathroom with shower. This double room features a cable TV, electric kettle and tea/coffee maker. Hotel surroundings – This neighborhood is a great choice for travelers interested in architecture, city trips and museums – Check location Great location - show map Guests loved walking around the neighborhood! House Rules Ibis Styles Stockholm Odenplan takes special requests – add in the next step! 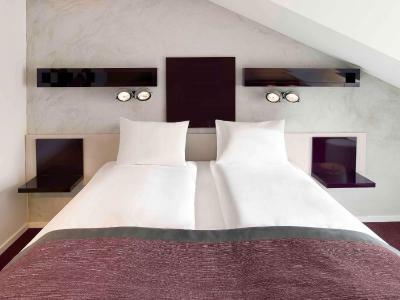 Ibis Styles Stockholm Odenplan accepts these cards and reserves the right to temporarily hold an amount prior to arrival. 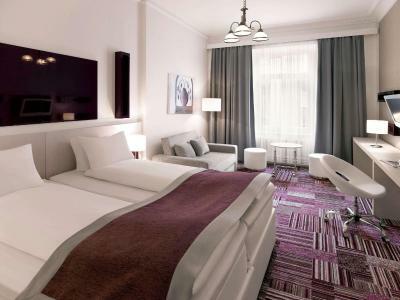 Please note that Ibis Styles Stockholm Odenplan has a limited number of parking spaces. You need to contact the hotel directly to confirm if parking is possible or not. Insulation not great, can be a bit noisy from both neighbours and the street if you are sensitive to noise. Nice and cosy room. Perfect location. Comfortable bed. The mattress wasn't great and the pillows were non-existent. It was impossible to sit up in bed because of plastic mouldings and bizarre light fixtures. We both banged our heads several times. For such a large wet-room style bathroom, there was next to no shelving space. We did talk to the receptionist who pulled the picture of our room up on her screen and she could see what we meant. She said she'd forward our comments on and was very understanding. The staff were very friendly and helpful. The breakfast buffet was well-stocked and there was plenty of seating even when it got busy. 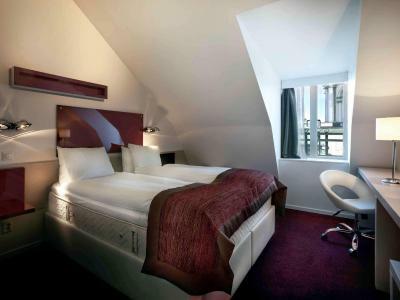 We booked a superior room which was spacious for the normal Ibis rooms. it wasn't really a big thing but you can feel that the facility is a little bit worn off. It was not dirty but kind of used and you can feel it. However, it didn't affect my stay much. in general, I had a very pleasant experience. Hotel met my expectations. It was clean and comfortable, very quiet. Very nice breakfast including everything you need plus free tea and coffee all day long. I got a free room upgrade due to my birthday coming the next day. A small thing but it made me happy. Staff is indeed lovely. No problem with the location at all. Easy to reach from the airport, easy to get to the city center, easy to find. Highly recommended. Room clean and confortable, breakfast was more than enough (typical continental breakfast) and there was tea and coffee 24/7. Great location, you can walk anywhere in stockholm city centre from the hotel. Great location! 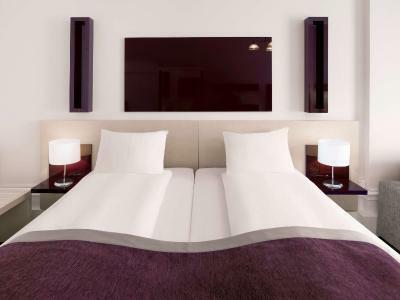 Hotel staff were extremely helpful and responsive. Got us an early check in on request! Free coffee/tea rooms . Highly recommended. Room tiny. Could hardly open suitcase. Almost no natural light. Window not clean. Quite small rooms, ok for shorter stay. Bed was comfortable, bathroom was quite nice and breakfast was perfect. Staff was very nice as well. Good location very near to station. Central location and clean area. Fantastic breakfast, lot to choose from. You can sit in the cellar, where the buffé is, or you can take the breakfast tray upstairs to the bright room with windows. Good that they have tea/coffee/bubble water 24/7. Quite location. Travel light as the room will not fit 2 suitcase, if you wish to open one of them. Very polite and professional staff! WiFi is not so strong when used by multiple devices. I truly enjoyed my staying at Ibis! Money well spent.!! Excellent location. Nice quiet neighborhood. One minute away from the metro station. Staff very helpful. Wide range in terms of Breakfast! Nice clean modern room! Totally worthy! Hope to go back!